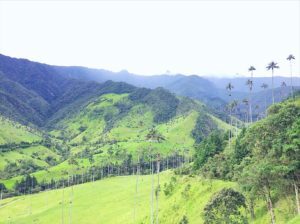 The Salento Cocora Valley hike or (Valle De Cocora hike in Spanish) is one of the most popular things to do in Salento. And for good reason. 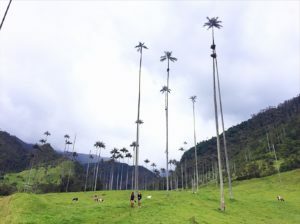 The wax palms (Colombia’s national tree) are dotted all around the valley and reach up to 60 meters in height. So they are bloody impressive! 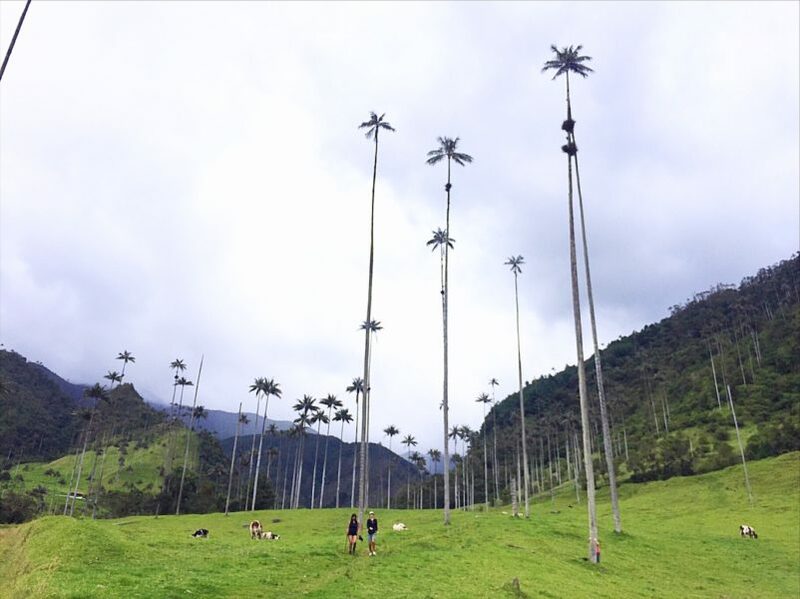 Visiting the Cocora Valley in Colombia can be a little confusing once you arrive in the area. So I’ve written this handy dandy guide to the Valle De Cocora Colombia. So you’ll have an amazing time and definitely won’t get lost! 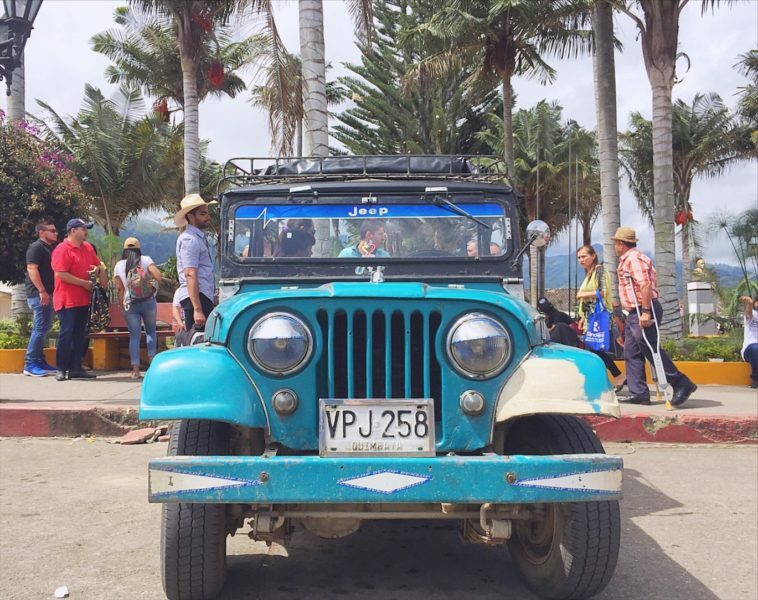 One of the Jeeps you’ll take to your Valle De Cocora hike. 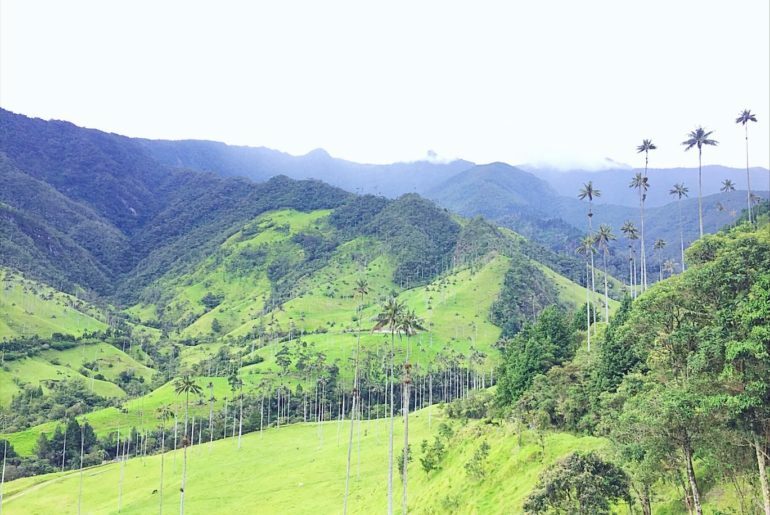 The start of the Cocora Valley hike is a 20-minute drive from the centre of Salento. The easiest way to get there is to head to the town square and find yourself a Jeep. A one-way ride should cost you 3,800 COP per person. And I hope you’re not awkward about personal space as they’ll pack as many people as possible into the Jeeps. We had 11 in total with a few people hanging off the back. 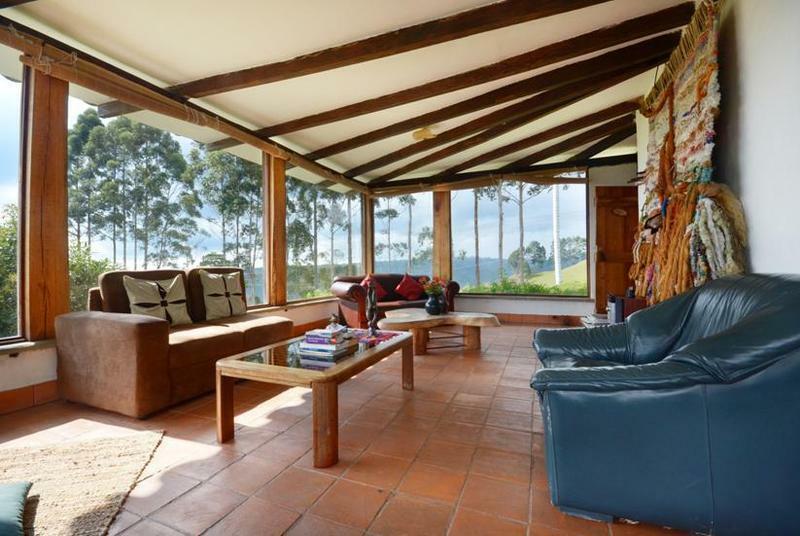 As Salento is the closest town with access to hiking the Cocora Valley Colombia everyone stays there. It’s also a pretty cool place to check out in its own right. 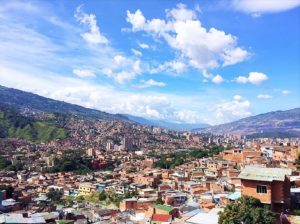 Have a look at my article on ‘The 10 Best Things To Do In Salento Colombia‘ if you’re not already convinced. There are two hiking routes for the Cocora Valley Salento (I’ll go into more detail later). The shorter hike to the valley is free. And the longer hike that takes about 5 – 6 hours will set you back 3,000 COP which you pay as you enter the area. Maps.me app. Just in case. As I mentioned above there are two hiking options for visiting the Valle De Cocora Salento. The short and the long. The short way takes about 1.5 hours return and takes you straight up to the famous Cocora Valley Palm trees where you can snap your pics and then head back to town for a tasty lunch. If you’re in the mood for a hike and pushing yourself and your fitness a little more, the long version is a great option. It takes about 5 – 6 hours and you climb to the top of the valley, stop at a hummingbird sanctuary and then come down above the palm trees. 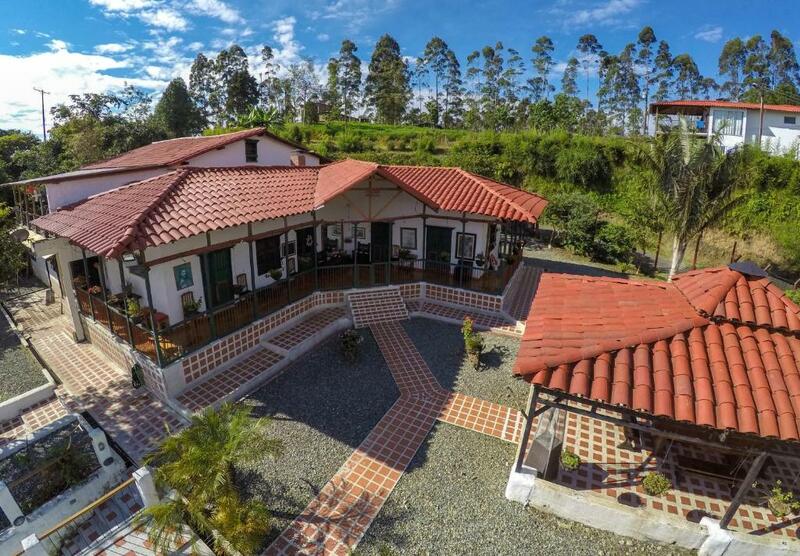 Wanting to DIY your Cocora Valley Tour but can’t decide which one to do? Keep reading! Your Jeep will drop you in a parking area. Jump out, head towards the gate and turn left. Walk up along the path, and keep walking past the blue gate (this is the entrance to the long route). Follow the path all the way along for about 30 minutes until you reach the Valle De Cocora. 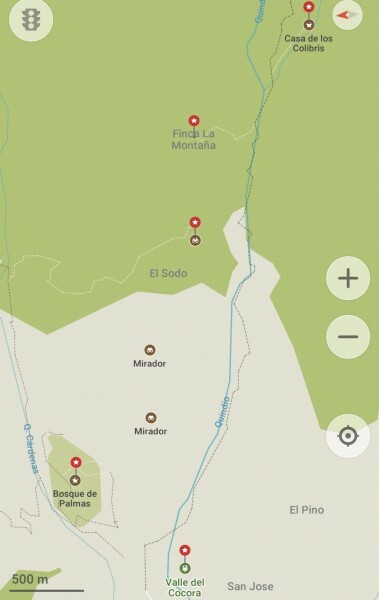 A Cocora Valley map from Maps.me. Walk up along the path and when you reach the blue gate go through it. Walk along for about 5 minutes and you’ll see a fork in the road. The road to the right leads to a house. So follow the path along to the left. After another 5 minutes, you’ll reach the entry to the park. This is where you pay you 3,000 COP entry fee. After about 30 minutes, you’ll arrive at the wooden signpost that says ‘Fundacion Herencia Vero’ along with some other signs. Take the fork that heads to the right here. Continue along the track, you’ll cross a number of suspension bridges. Be careful as these bridges can be really slippery. After 5 or 6 bridges you’ll arrive at a T Junction with a wooden sign saying ‘Acaime La Casa de Los Colibris’. Take the path leading to the right and this will take you to the hummingbird sanctuary. You can stop here for lunch and watch the hummingbirds. After you’ve visited the hummingbirds head back down the path you came up until you reach the T Junction again. Once you reach the T Junction take the other path that leads upwards to the left. This track is really steep and you’ll climb all the way to the top of the valley. Take your time. It’s a pretty tough walk. 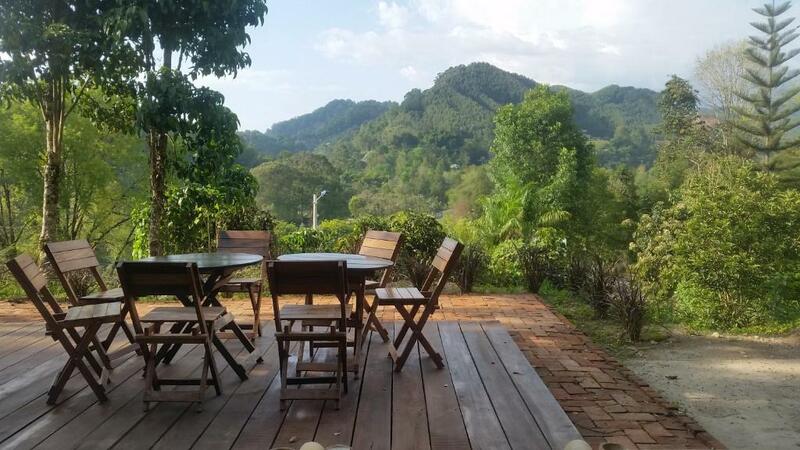 After about an hours climb up-hill you’ll reach a little farm. From here follow the path along to the left and after a 20-minute walk, the Valle De Cocora Salento will come into view. And then continue to follow the path, which will take you all the way back to the car park you arrived at. If you want clearer views and fewer tourists on the Valle De Cocora hike head there early around 9am. The packed lunch from Brunch Cafe is a great choice. If you’re not keen on hiking the Cocora Valley, you can go on horseback. It will cost you about $25,000 COP per hour and the trails are really packed with other riders. Loved The Cocora Valley Hike And Want More Of Colombia? Check These Out! 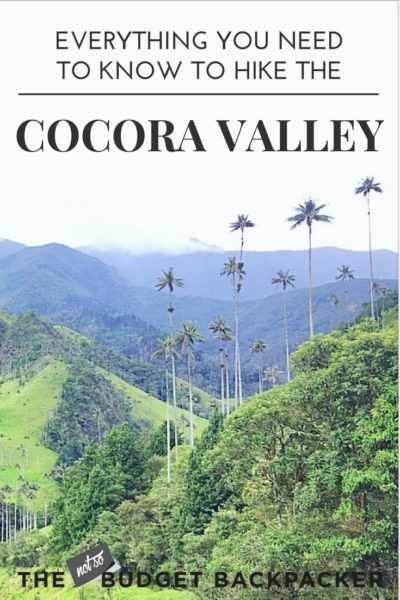 There are links within this post on Everything You Need To Know Before Your Cocora Valley Hike that I can earn a commission on, which allows me to keep providing free travel tips and destination guides. If you’re thinking about purchasing something I have recommended I’d really appreciate it if you bought it through this site. All opinions as always remain my own.